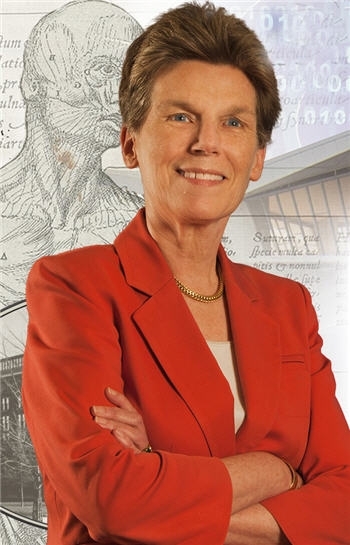 Lucretia McClure has had a tremendous influence through her activities with the Medical Library Association, and also her contributions to continuing education with first hand knowledge of librarianship pre- and post- automation. " I feel extremely fortunate that I lived prior to World War II and saw that part of our world, that I lived in the manual library world and understood how libraries functioned before automation, and then had the opportunity to utilize the automation later." Lucretia Walker McClure was born in Denver, Colorado in 1925. She always loved reading and was an early public library user. Lucretia points out "I was always a child who liked introspection and reading. I can't remember not being able to read as a child. It was one of my favorite things to do". She pursued her first ambition to be a writer by achieving a bachelor's degree in journalism from the University of Missouri at Columbia in 1945. She then married and moved to Rochester NY. After raising a family, she and her teenage children went to Denver, Colorado where Lucretia pursued a degree in library science. It was a visit to the University of Colorado Medical School Library and a tour led by Frank Bradway Rodgers that began her interest into medical librarianship. After one year of library school, Lucretia graduated and returned to Rochester, reuniting the family. Her first position was in the University of Rochester School of Medicine and Dentistry. She began as a cataloger, and in this position saw the early automation of Index Medicus and OCLC. Lucretia continued on at the library with successive positions as Serials Librarian, Reference Librarian, Associate Librarian, and Director of the library. 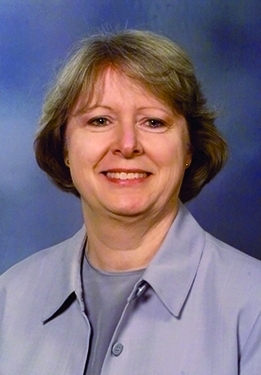 She was also Assistant and Associate Professor of Medical Bibliography from 1979 until her retirement in 1993 and taught courses at the University of Rochester, the University of Denver, and the University College of Arts and Sciences at Geneseo and Syracuse University. Lucretia says, " The best thing in your library is the thinking librarian. The librarian has the flexible mind and has the creativity to link and do various things. But what we can do today is take that mind and use machines to do the output." Lucretia's activity in the Medical Library Association began in 1965. She served on many MLA committees including Government Relations, Legislative, Bylaws, Finance, and Nominating, Oral History and Membership committees. In addition, she developed the popular Continuing Education course, Management of Reference Resources. 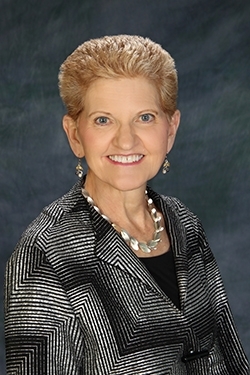 Her MLA service extends to serving on the MLA Board of Directors from 1980-1983, and serving as President in 1990-1991. Lucretia delivered the Janet Doe Lecture in 1985. was elected an MLA Fellow in 1993, and received the Marcia C. Noyes Award in 1996. Lucretia was also involved in other professional organizations, including the Archivists and Librarians in the History of the Health Sciences, the International Federation of Library Associations, and Association of Academic Health Sciences Library Directors. She was a founding member of the Upper New York and Ontario Chapter, serving as Chair in 1969. She was elected a Chapter Fellow in 1990. In her retirement, she remains active in MLA as Parliamentarian and Copyright Referent and continues working on various short-term library-related projects. To sum up Lucretia's feeling about librarianship, she states: " What we do contributes to learning. In essence, I think we are the curators of the learning situation."